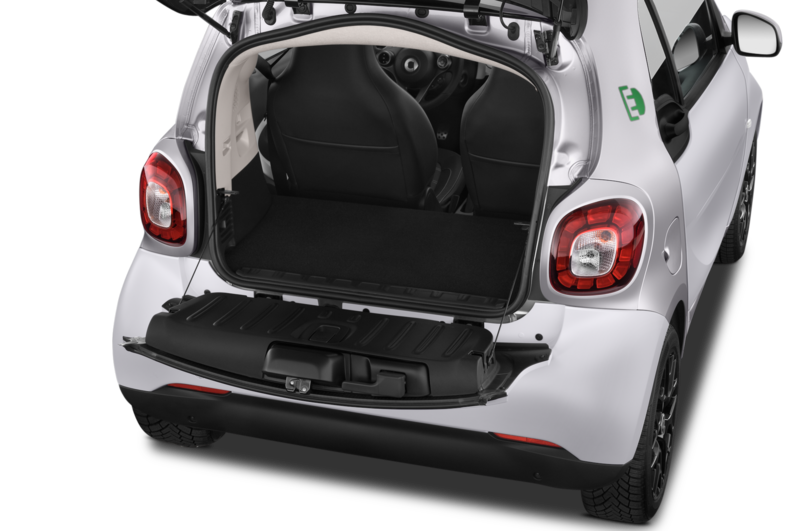 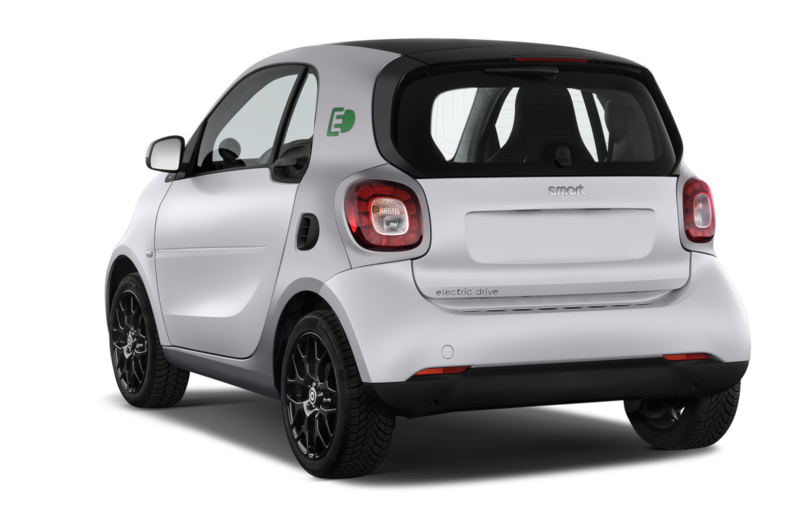 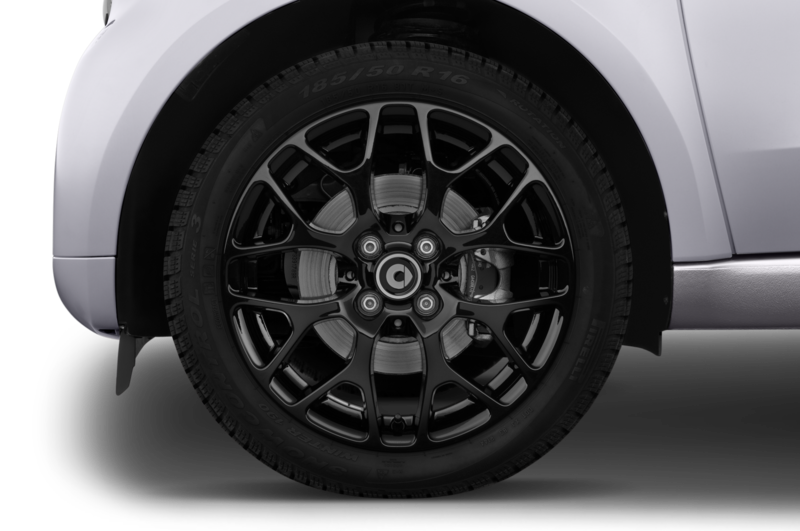 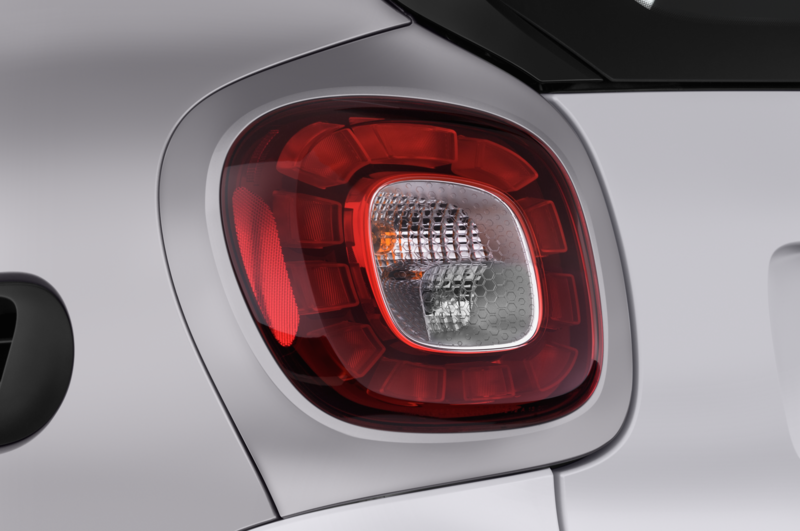 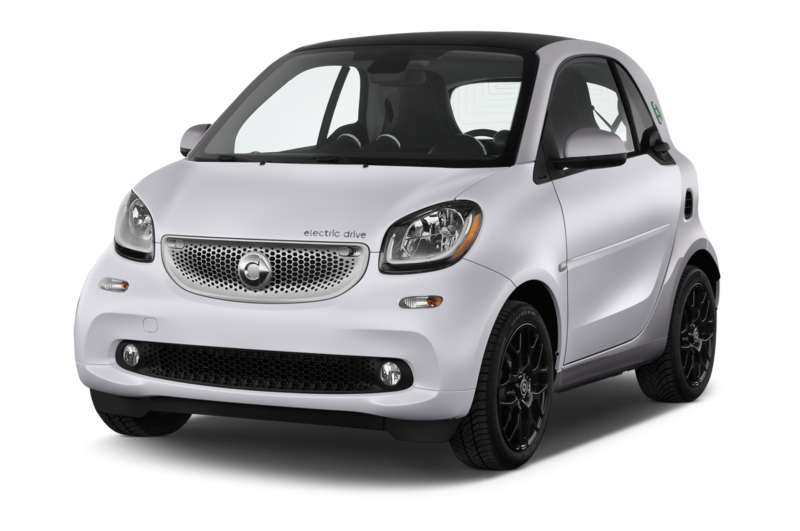 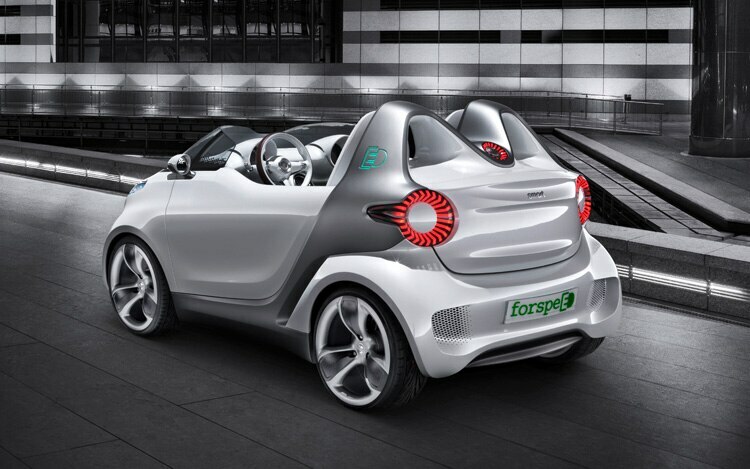 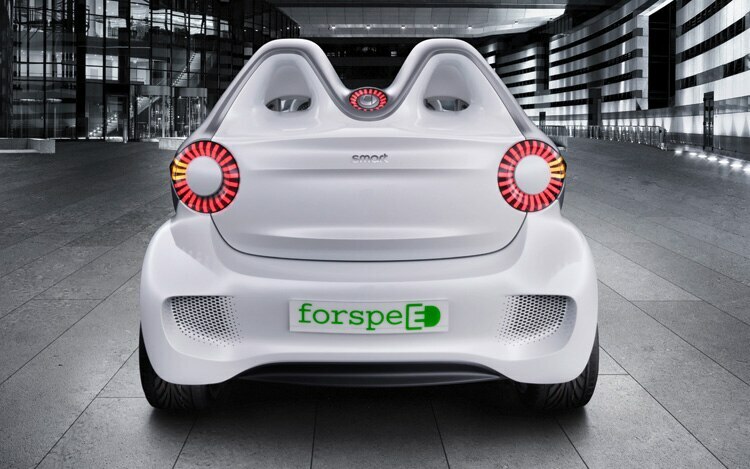 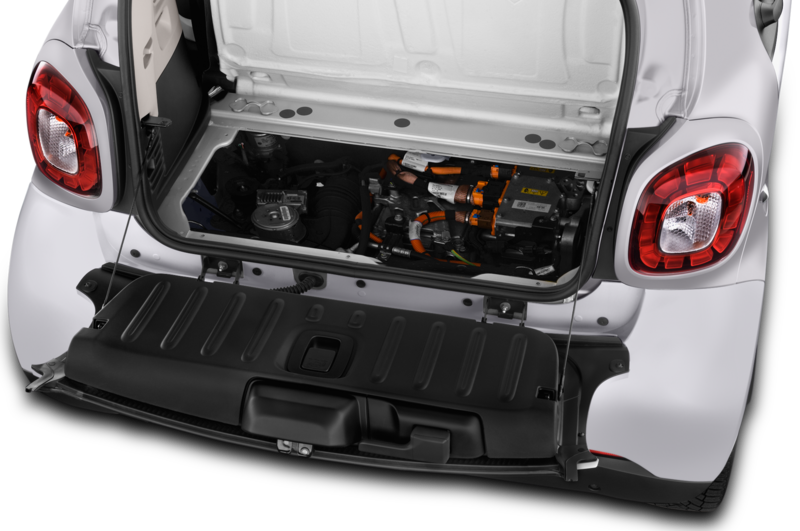 The Forspeed’s rear wheels are propelled by a 30-kW (40-horsepower) electric motor, the same setup found in the smart fortwo ElectricDrive. 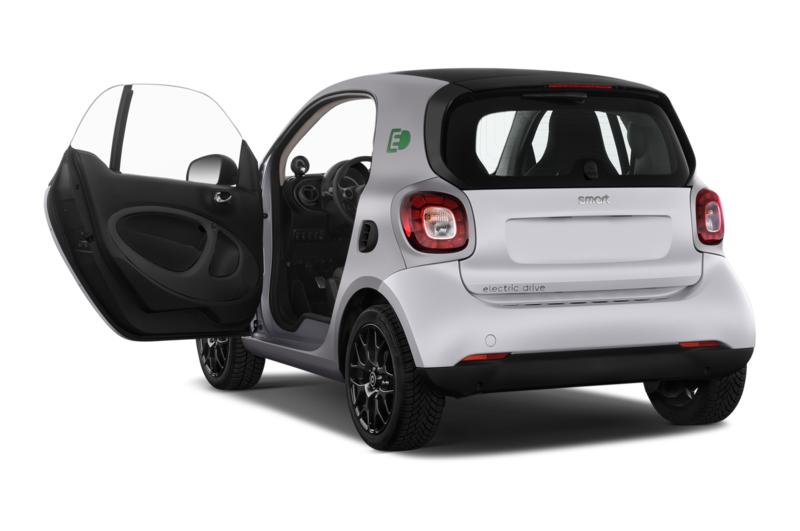 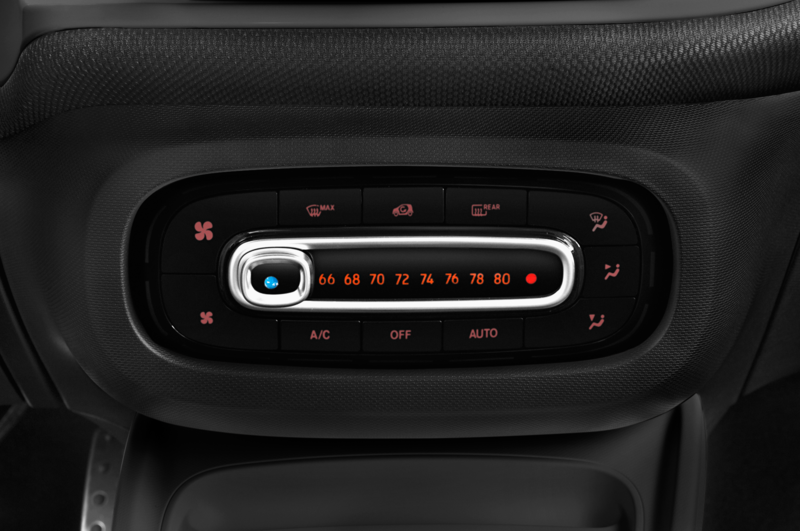 Smart has included a so-called overboost function, which reportedly allows drivers to cue up an extra 7 horsepower for short blasts by pushing a button on the dashboard. 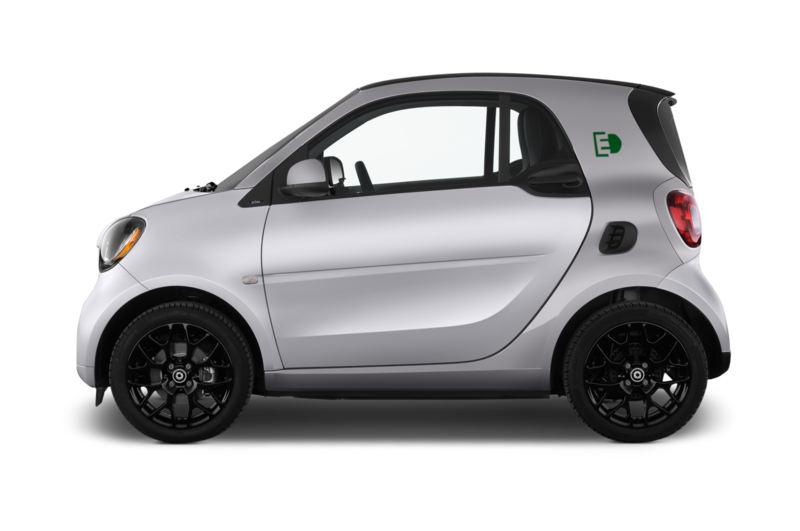 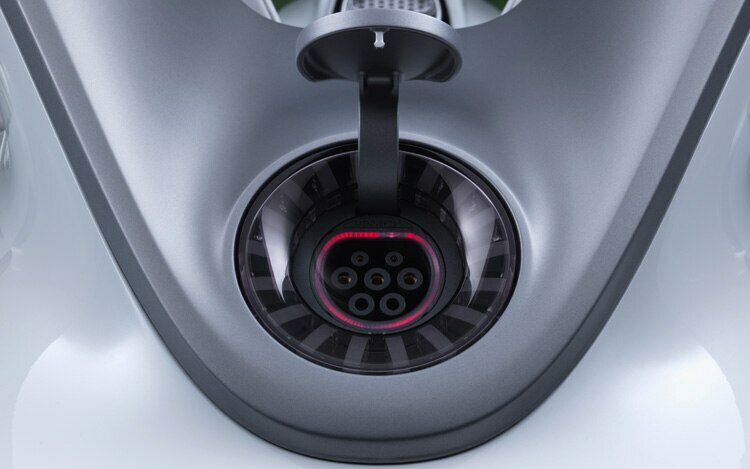 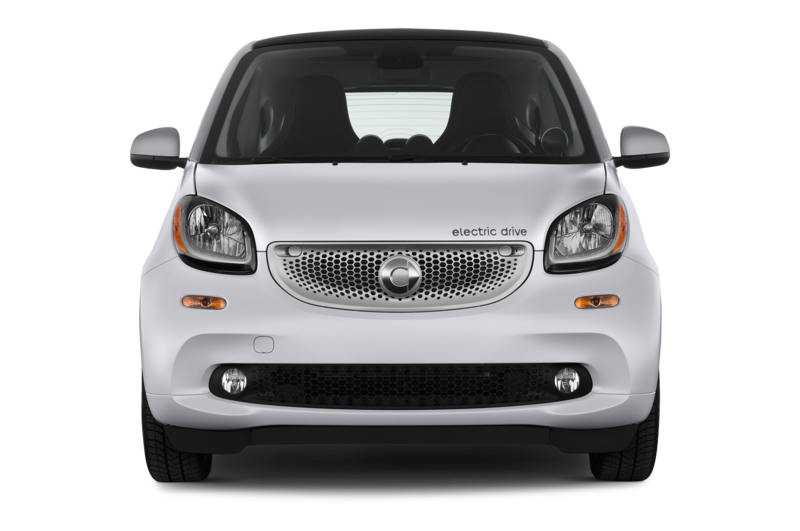 Power is drawn from the same 16.5-kWh lithium-ion battery pack as in the Smart ED, giving the Forspeed a theoretical range of 81 miles to a single charge. 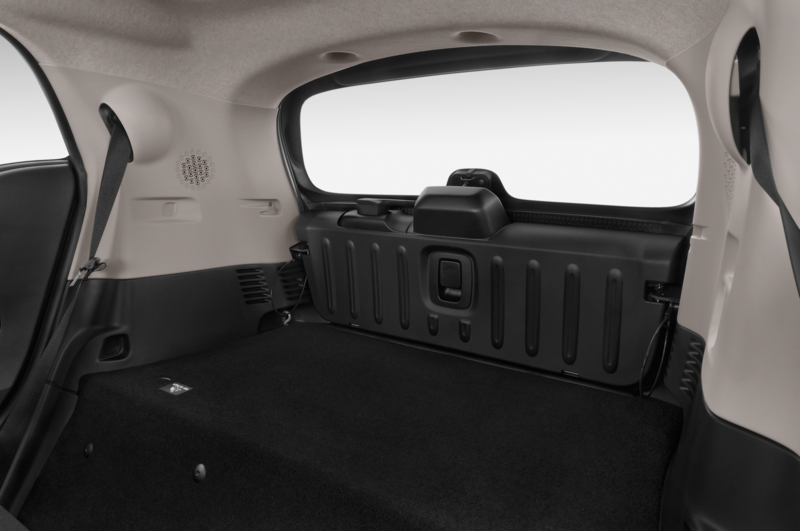 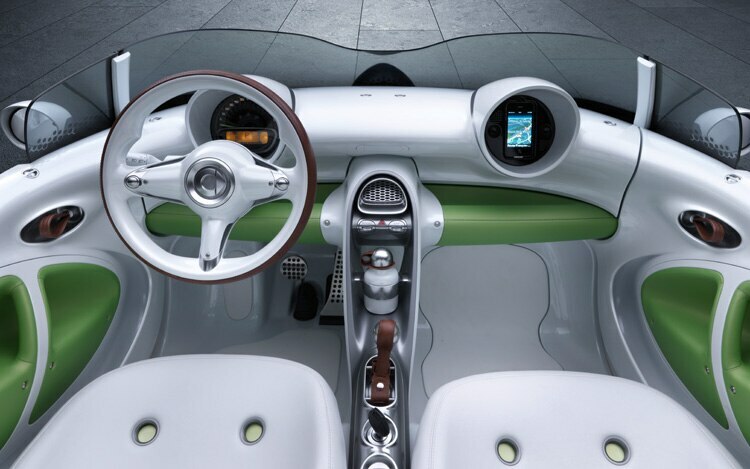 The Forspeed’s safety cell wraps into the double-bubble roll bars, and then flows down into the cabin, where it serves as the car’s center console. 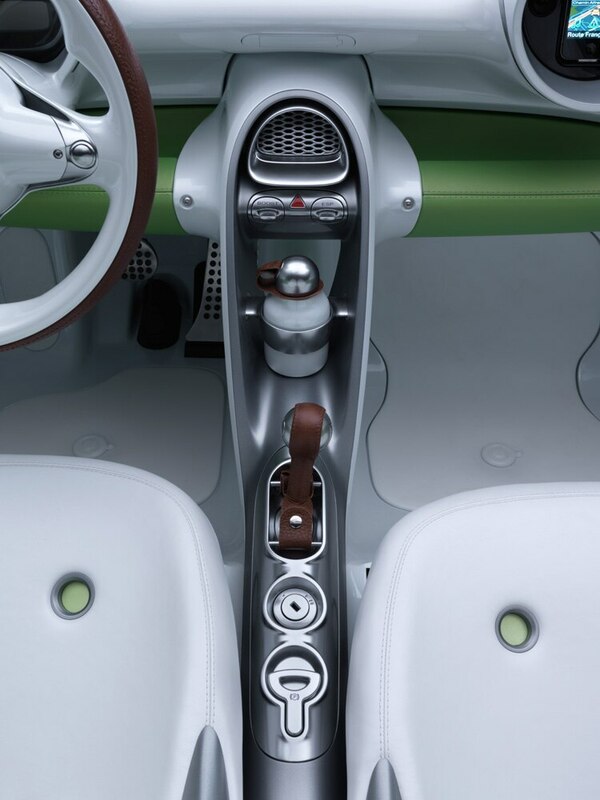 Designers trimmed the interior in a matching, matte white hue to match the exterior paint, but liberally applied green accents to hint at the eco-friendly properties of the car’s drivetrain. 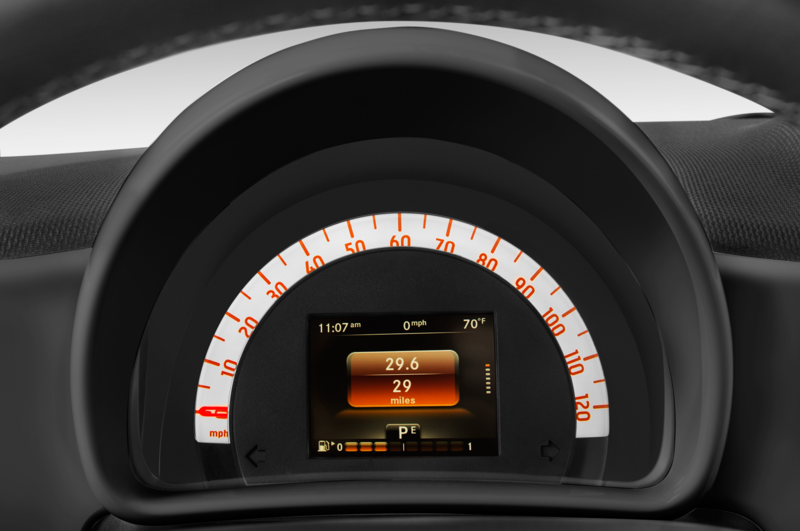 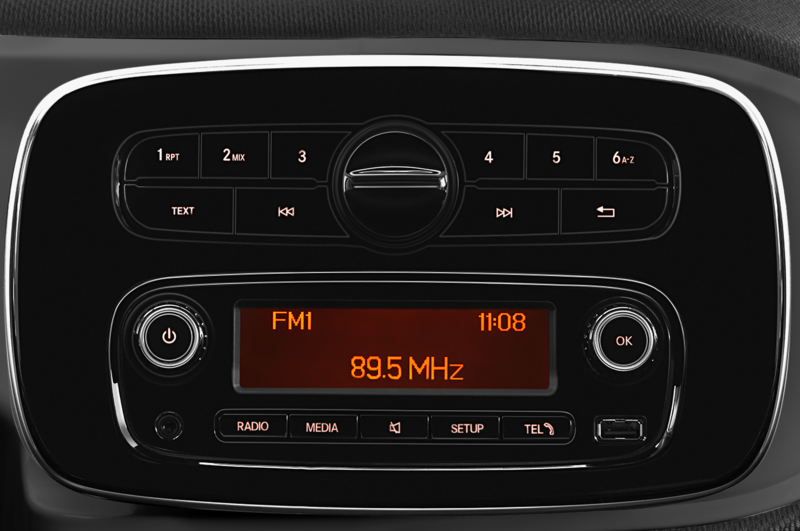 A minimalist two-pod dashboard places a speedometer in front of the driver, and a smartphone-based nav system dead ahead of the passenger. 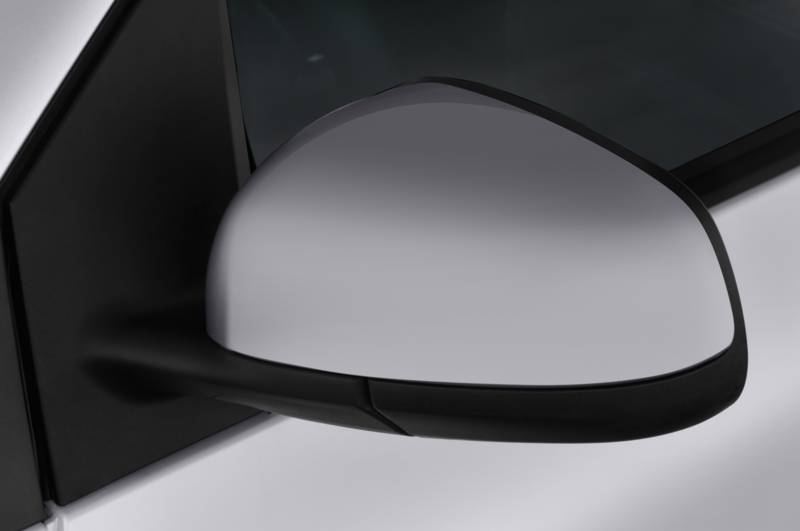 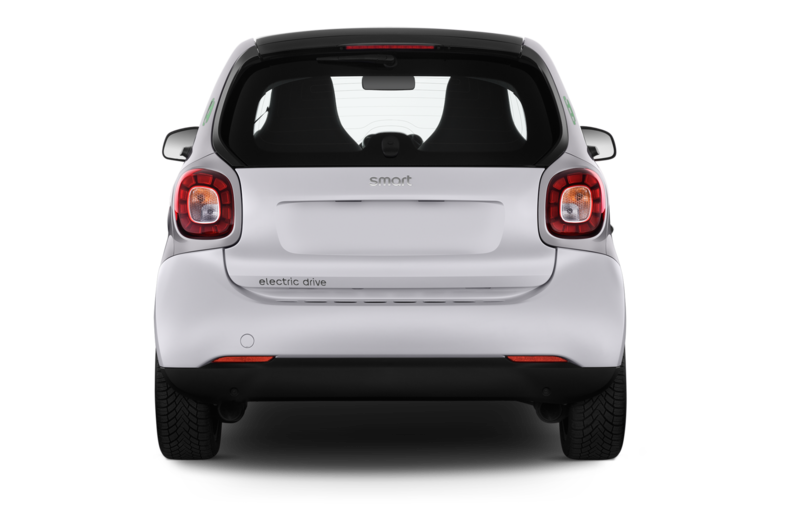 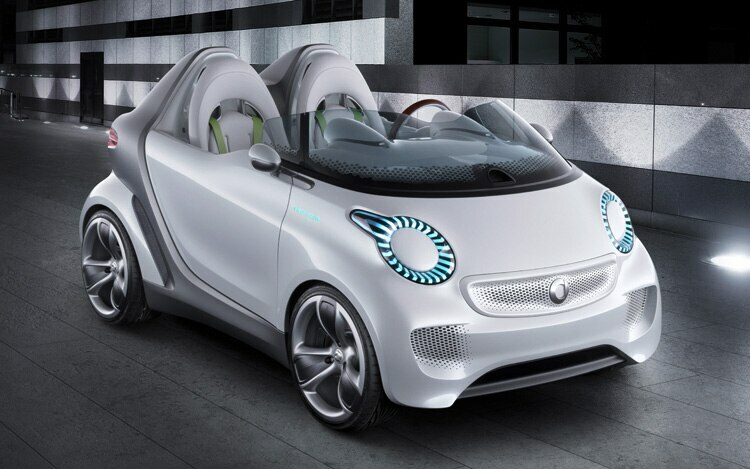 According to Smart, the latter can be swiveled 90 degrees to let the driver view the map. 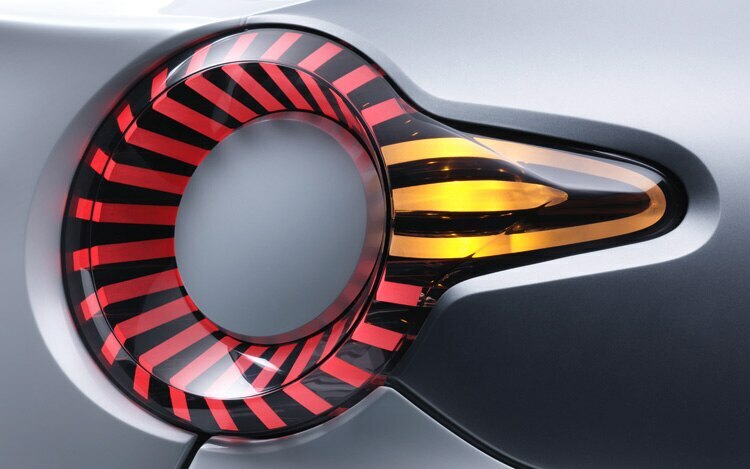 Although a small quantity of Crossblades were offered to the public, Daimler doesn’t plan on pushing the Forspeed into even limited production. 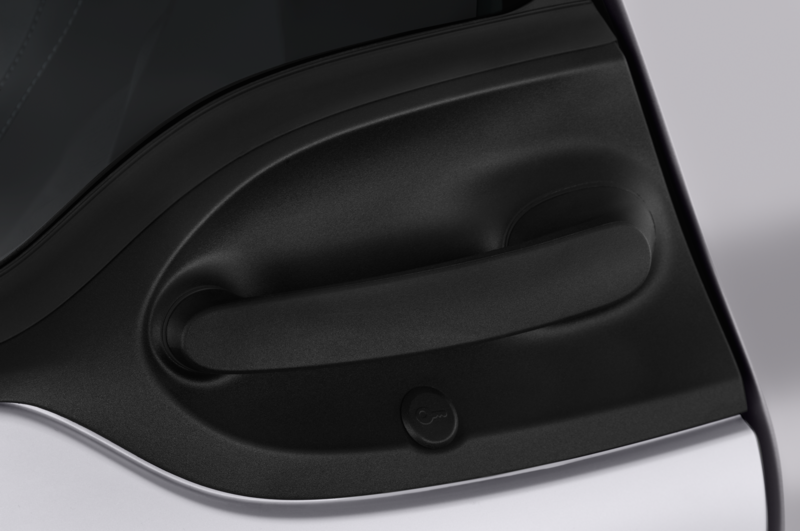 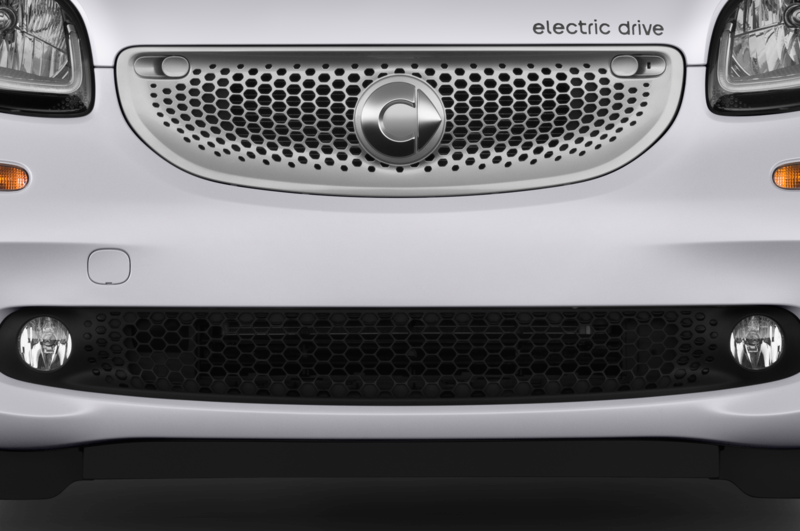 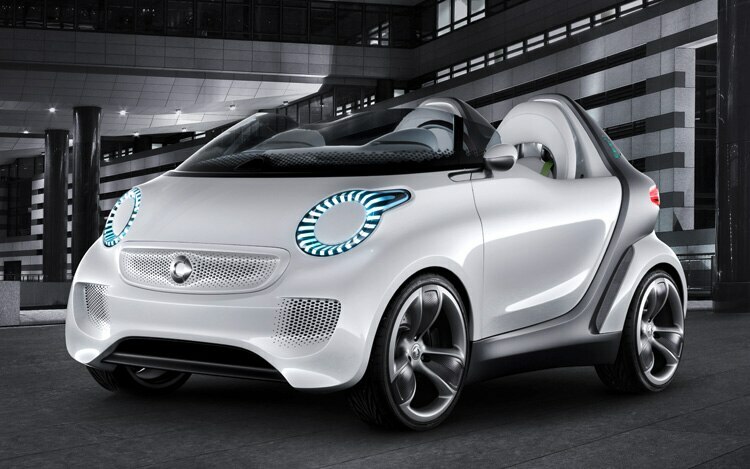 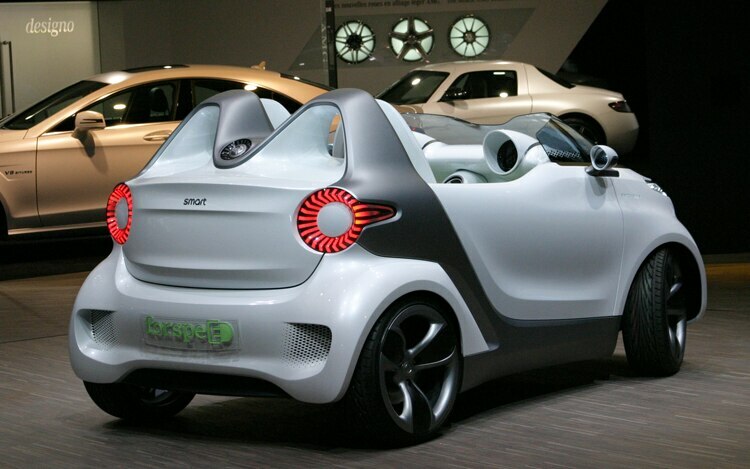 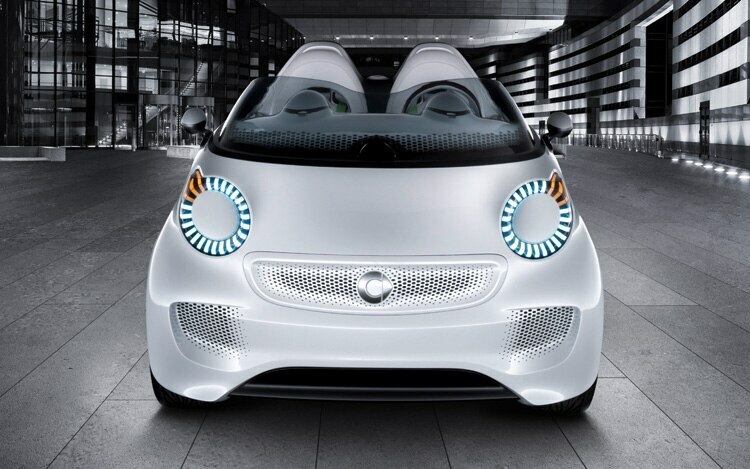 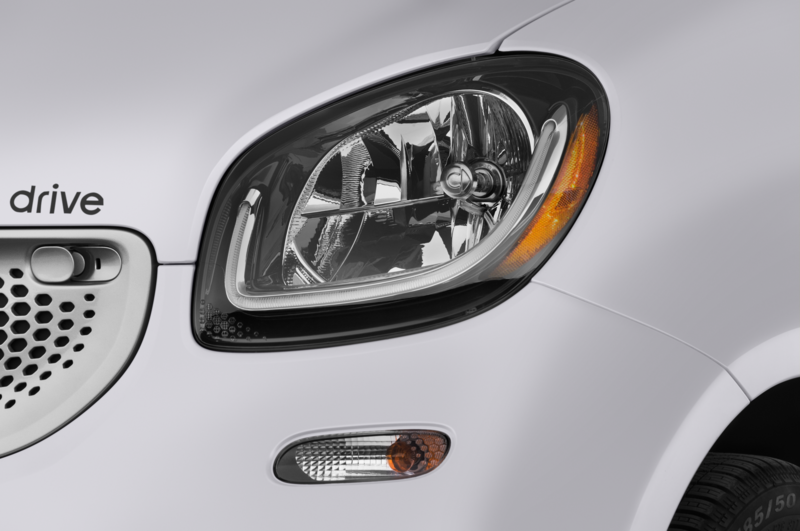 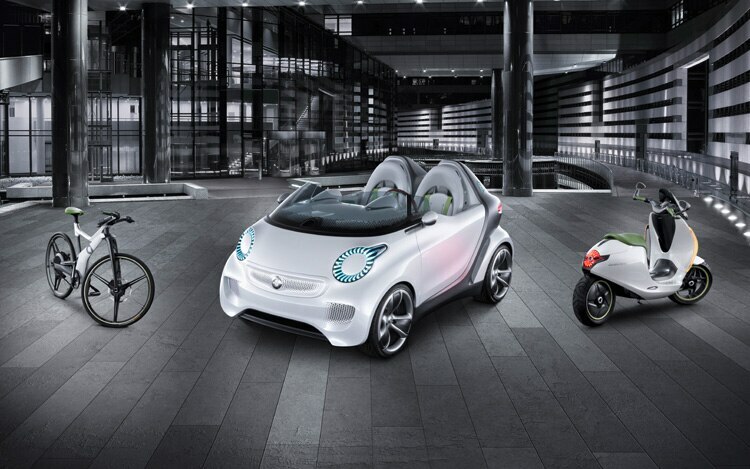 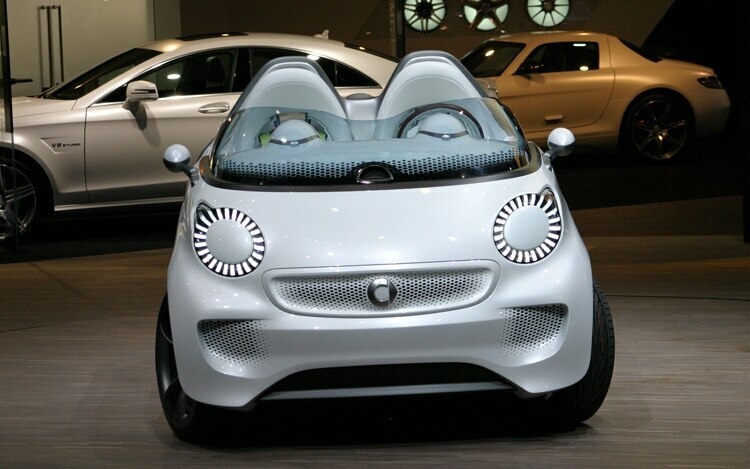 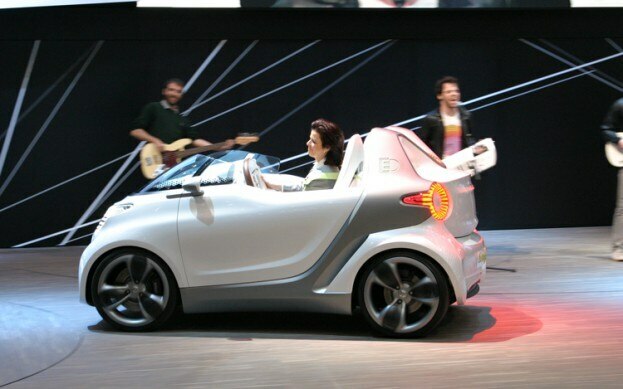 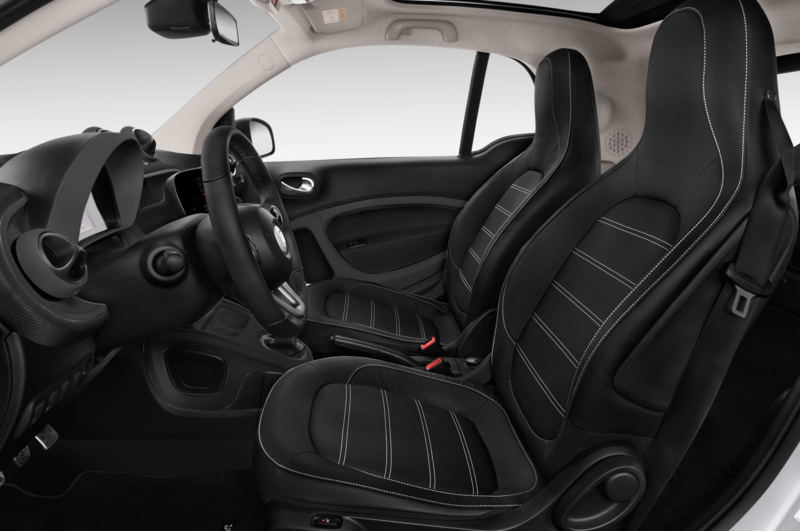 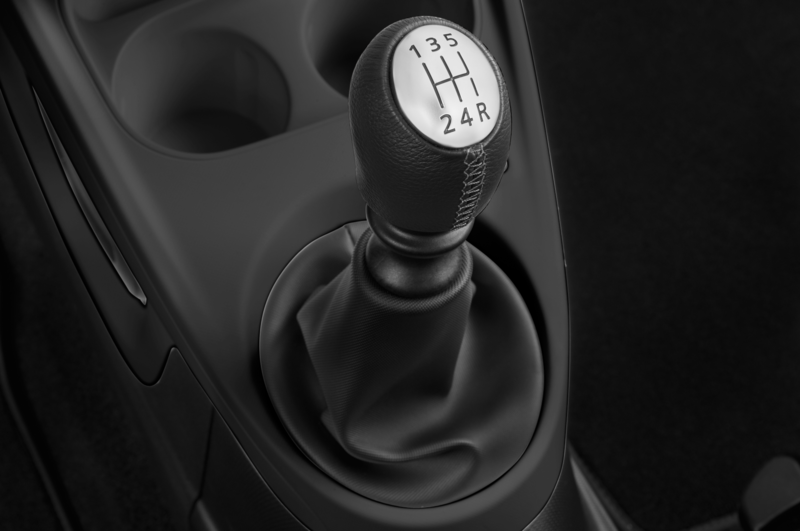 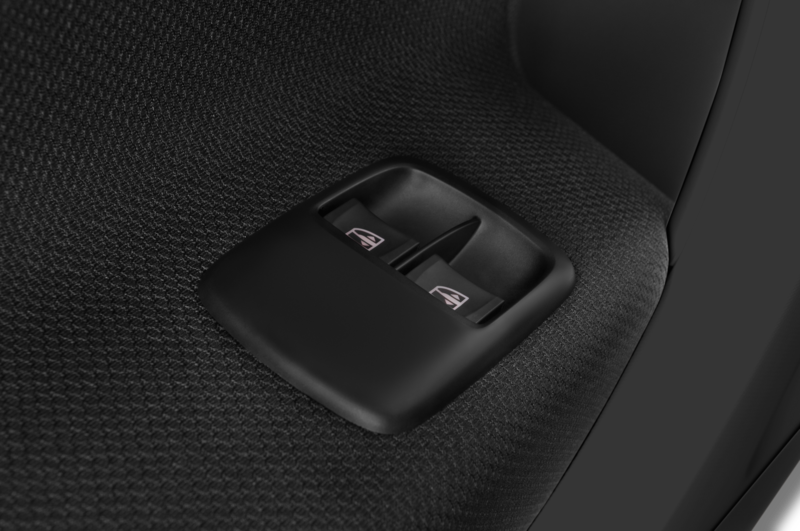 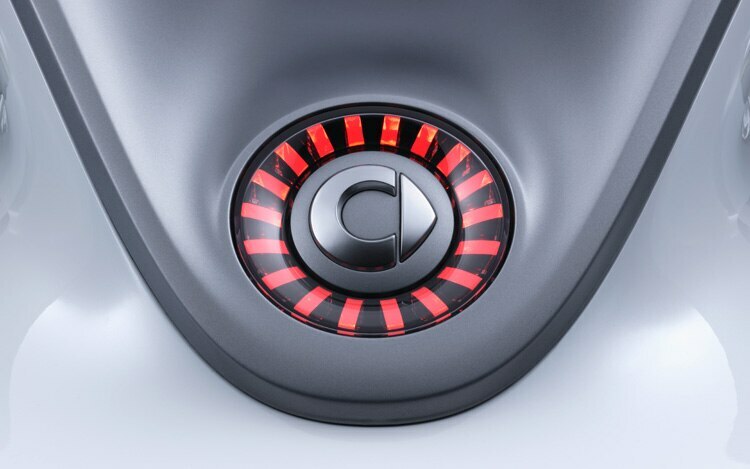 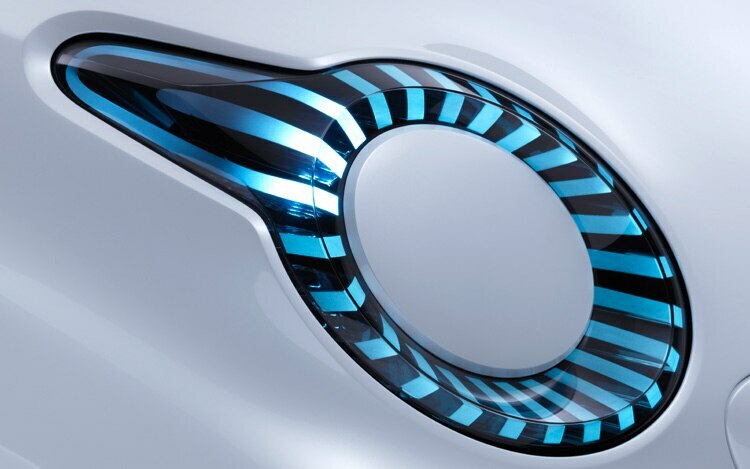 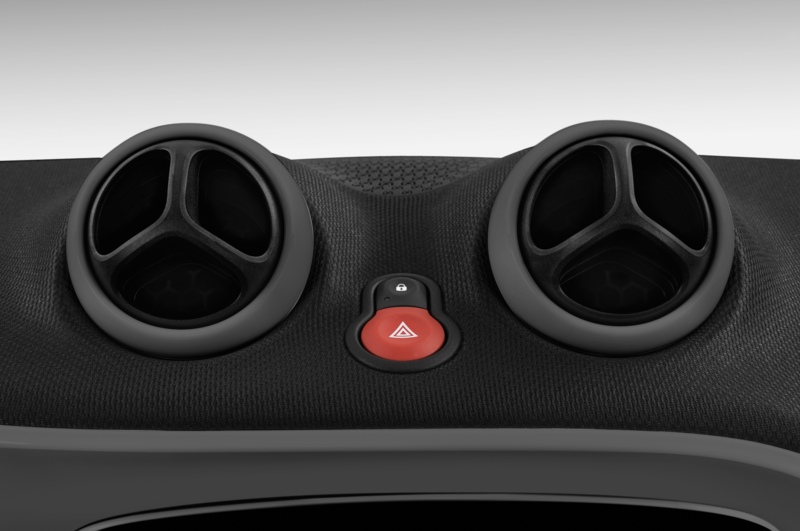 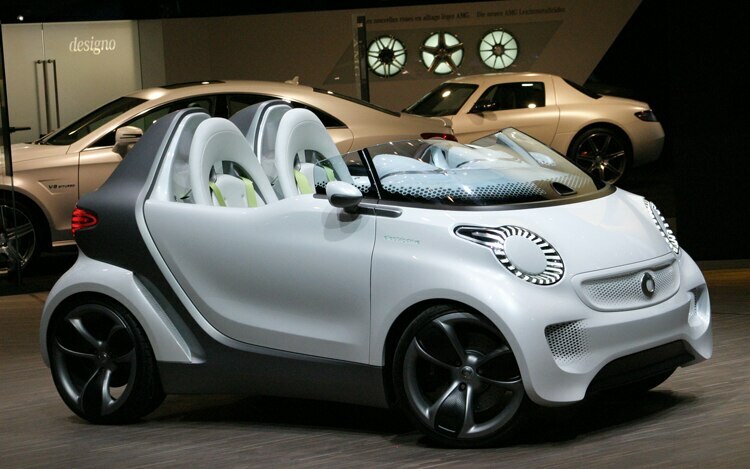 But the brand says to expect some of the concept’s design cues to be incorporated into future Smart product offerings.